This is so simple but so lovely! We had this for dessert last night and enjoyed it so much! My mom was a tad cheeky and served it with a glass of wine! So smart! 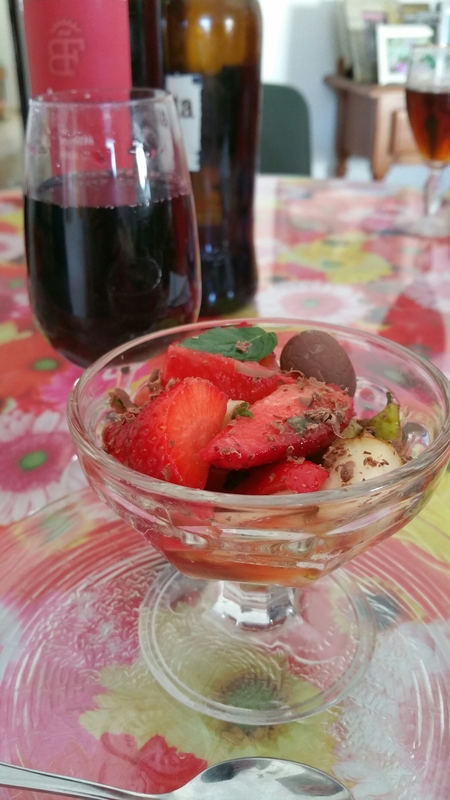 Place strawberries and the pear in a glass bowl. Sprinkle with lemon juice, fresh mint, maple syrup and a little grated chocolate, if using. This will be perfect when strawberry season arrives, with fresh mint from my garden. I can’t wait for it!